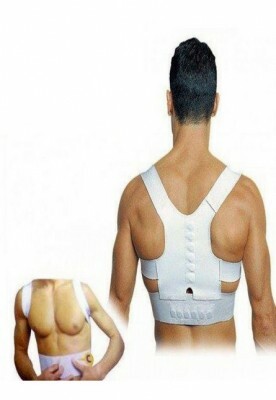 Magnetic Belt For Back Posture Support	Support will help you stand taller and straighter which will make you look better and feel younger. 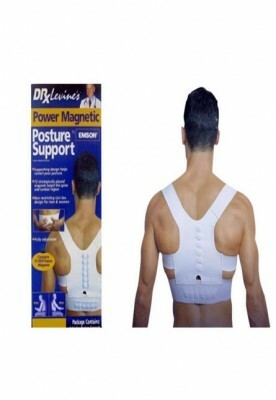 This comfortable Magnetic Posture Specially designed to help correct your posture, it will discourage unflattering stooped shoulders and general slouching. With 12 magnets you can enjoy the benefits of magnetic therapy which has been used for centuries to help alleviate pain and reduce inflammation. 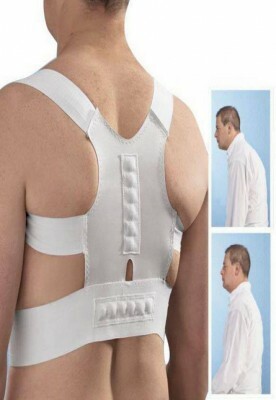 Adjustable waist closure.